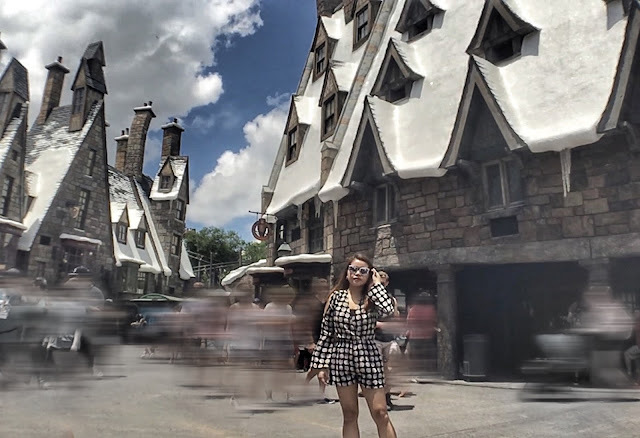 t's my second time to visit Harry Potter World in Universal Orlando and my first time in Islands of Adventure where Hogsmeade and Hogwarts are located. I didn't get the park hopper ticket so I wasn't able to hop on the Hogwarts Express train. 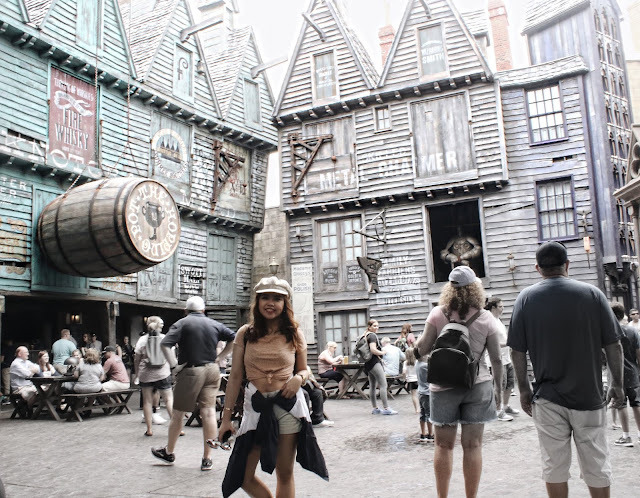 Went to Diagon Alley with my cousins and went solo on a different day at Hogwarts and Hogsmeade. 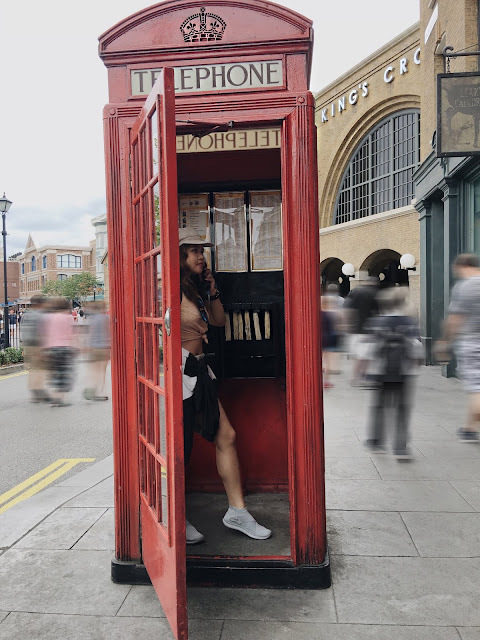 Try the telephone located near Kings Cross. If you dial 62442 (MAGIC) you can get the Ministry on the line. At 12 Grimmauld Place you can see Kreacher the House Elf peaking through the window every few minutes. 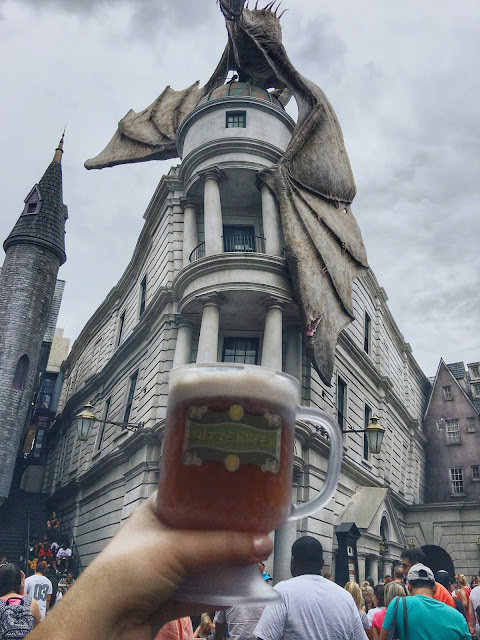 The last time I went to Diagon Alley, I had frozen Butter Beer ($13 with the mug), but this time I had the regular one. It was warm so I didn't like it. I prefer frozen; I think it's better than the regular. 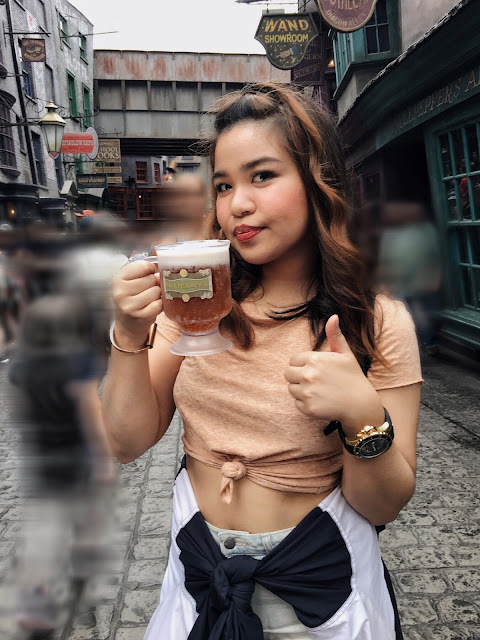 Walked around to take photos with my Butter Beer then went to Escape from Gringotts. The last time I was there it was a 60 min. wait but this time it was just 20 mins. The ride is located inside the Gringotts Bank. Bags are not allowed in their rides but they have free short-term lockers available before you enter the Gringotts Bank. I'm a Harry Potter nerd. I started reading HP books when I was in 4th grade in 2001. So everything in this theme park feels so real to me. 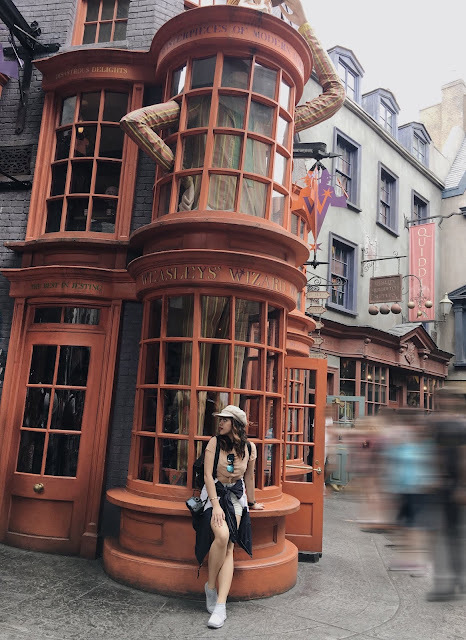 I really felt like I was in Harry Potter's world. It was an impulse to get a ticket to Islands of Adventure that day. I wasn't really planning to go there because I wanted my brother to see it with me for the first time. He's a fan like me too. But, I'm in Orlando, and I don't know if I can come back soon so might as well check it out. Having my photos taken was a struggle. Good thing I had my small tripod with me. I also asked a few people to take my pictures. Had a quick lunch at Three Broomsticks. I just wanted a small meal so I ordered from the children's menu. And for $7 you get two medium sized chicken legs with fries on the side. 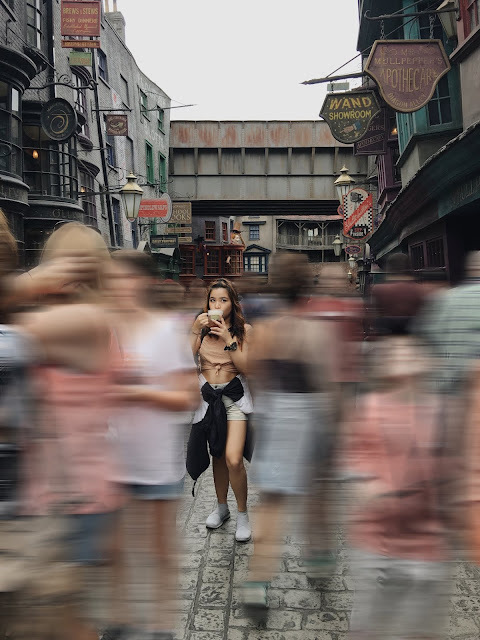 Oh, and they don't serve sodas in Harry Potter World. I opted for a Frozen Butter Beer this time. At last! I made it to Hogwarts! 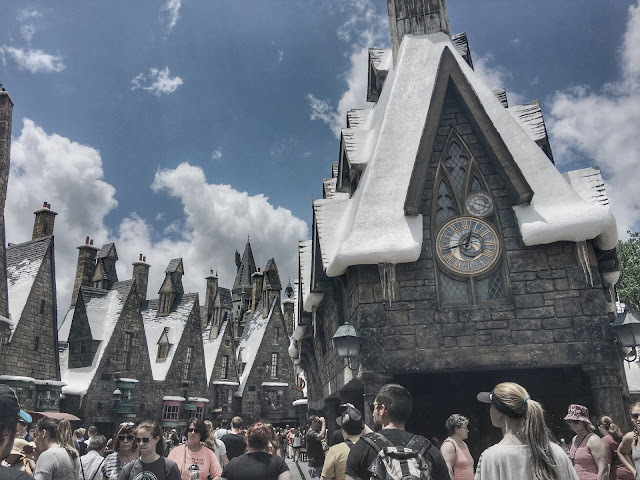 One of my favorite rides is located in Hogwarts. 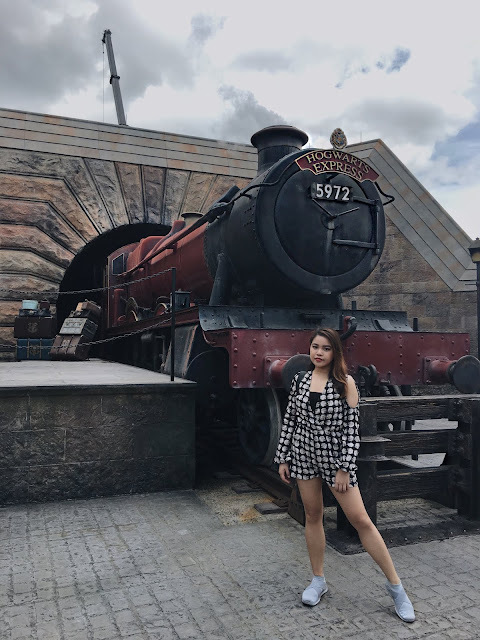 You should really go on the Harry Potter and the Forbidden Journey. If you're there alone, you can take the single rider line, it only took me 10 minutes to wait. Plus, I did it twice! What a fun experience! Can't wait to go back with my family!